Initially there was no contest. I was getting the Black Stainless Steel Apple Watch on the day it was going to be released. I even wrote about this decision here on my blog. But I ended up changing my mind for one reason. Practicality. I spend a lot of time with my hands and wrists on a keyboard and I was pretty sure that after not having worn a watch of any kind (much less an all metal band) that it just wouldn't be comfortable against a computer keyboard. Then there was the question of band compatibility. 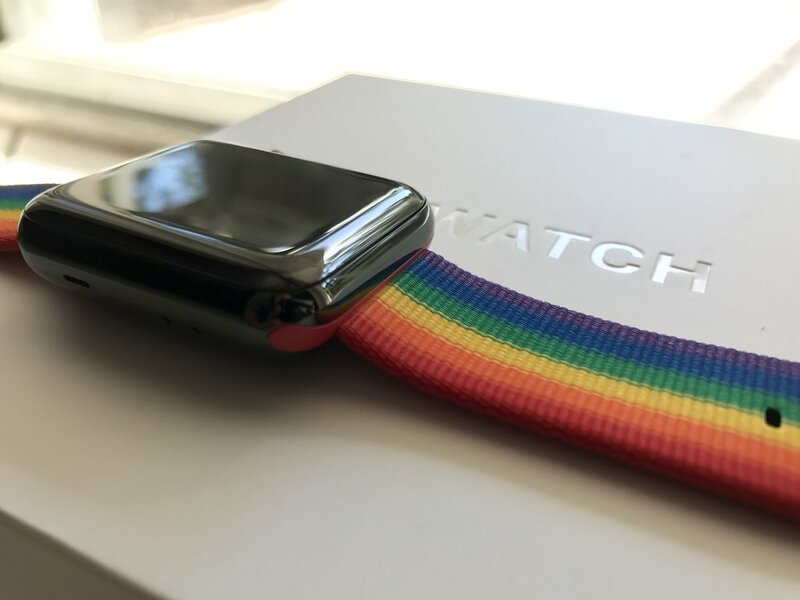 The black stainless steel in my mind was by far the best looking option, but would that end up limiting my compatibility to switch out and wear different bands? At the time I thought so. In the end I opted to go with the regular stainless steel and just a white sports band. I don't regret it, but was luck or fate would have it I ended up buying the black stainless steel Series 2 watch just a few weeks ago. I wrote about the latest chapter in my "loose Apple Watch back" saga and that ended in me purchasing a brand new Series 2 Apple Watch. I ended up getting the black stainless steel because it was the only stainless steel Apple Watch left in the city of Wichita at the time. I was going to back to very hectic work week and then international travel and I didn't want to mess with trying to find an Apple Watch once I got back home. So I pulled the trigger. If a regular stainless steel had been in stock I probably would not have even considered a black stainless steel watch, but after wearing it for a while now gotta say I love the black! The white sport band my original Apple Watch came with looks great with black. It looks even better when I slip my Road ID for Apple Watch on the band which adds even more contrasting black to the outfit. Red and black, of course it works. The silver stainless steel lugs in in my Lowry Cuff leather band also work well with the black. The shiny lugs offer a nice contrast to the relentless glossy blackness that is the Apple Watch. As you would expect, the black sports band that came with the watch looks great with the black stainless steel. Bottom line, if you like the black stainless steel buy it without fear and wear it proudly with just about any watch band you can find.